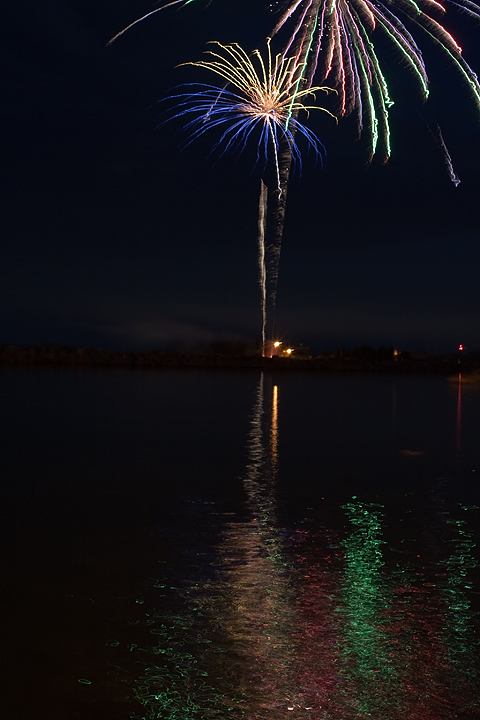 Last night, I at­tend­ed my first Grand Marais (Minn.) Fourth of July fire­works. It was very cool. 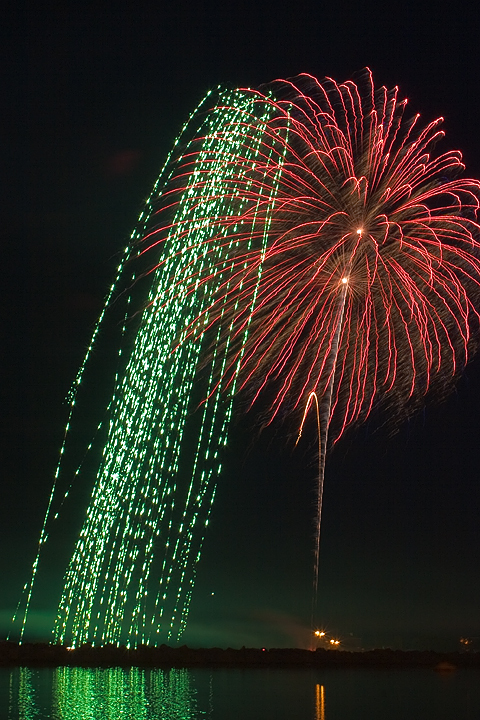 In the past I’ve shot fire­works right around the neigh­bor­hood of ISO 200; f/11; 20 sec­onds — give or take. 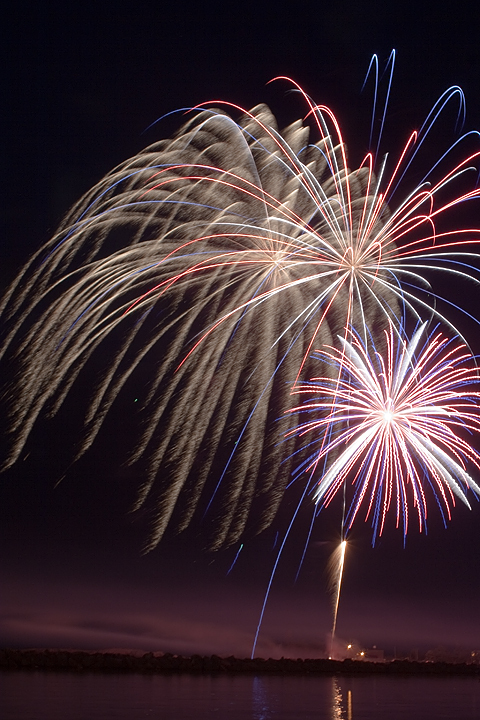 That has seemed like a good ex­po­sure to get both the fire­works’ bright­ness and the trails. 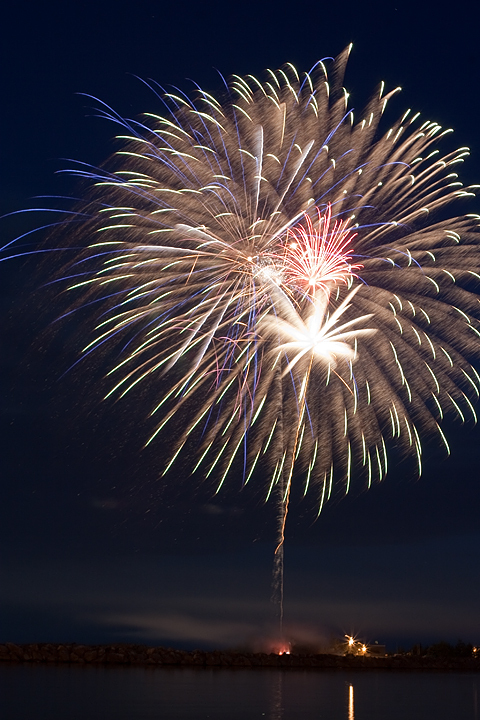 How­ev­er, the fire­works at Grand Marais seemed to come quick­er than they have in the past, so for some of the time, I went down to ISO 100 and 10 sec­ond ex­po­sures at f/11.